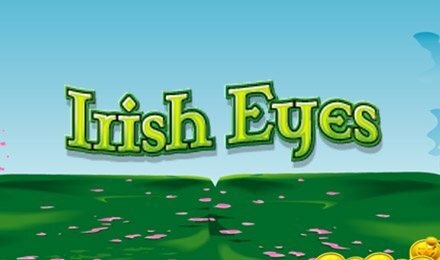 FREE Spins & 95.12% RTP in Irish Eyes Slots | Play now! Irish Eyes Slots is a fun Irish-themed online slot game with 25 paylines, lucky reel symbols and big wins! Login now and spin it to win it! It’s time to get lucky – Irish style! Irish Eyes Slots has 5 reels and 25 paylines, and fun reel symbols like pots o’ gold and 4-leaf clovers. Look out for the Leprechaun, which is your Wild, as well as the Irish Lady, who is your Scatter. She can grant you 12 FREE Spins and multiply your wins 3x. Plus, there’s a Pick Me Up Bonus with up to 100x multiplier! Irish Eyes Slots also has a generous 95.12% RTP.